← Another Sunset , Bridgewater, Conn. I drove by at sunset to see what I might find looking out over Lake Waramaug. Of course the moment was right. 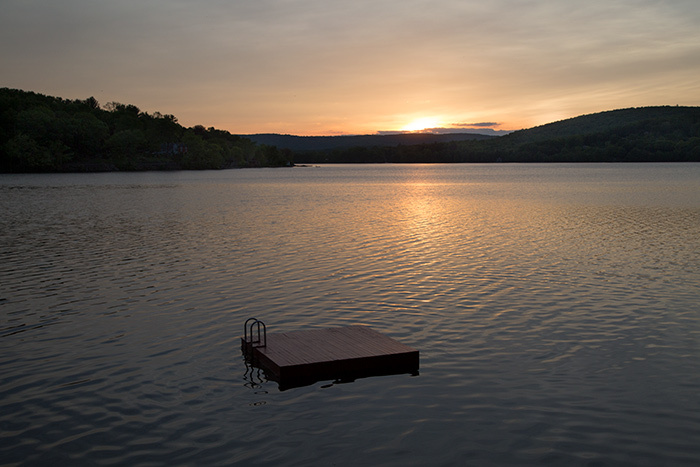 This entry was posted in Water Views and tagged Color photography, Lake Waramaug Sunset, Lakes, Raft, Sunsets, Swim Float, Tranquility. Bookmark the permalink. 1 Response to Sunset Reverie, Warren, Conn.
A truly sublime water view. I can imagine myself on the float gently rocking with the waves. Blissful.